This is it. Finally, the origin of Xavier and the X-Men. Finally, we get to see the original comic book team that brought us the mutant age of comics....Err...not so much. In 1962, Charles Xavier starts up a school and later a team, for humans with superhuman abilities. Among them is Erik Lensherr, his best friend... and future archenemy. Charles Xavier is a young man fresh out of Oxford, who is suddenly recruited, along with his adopted sister Raven (aka Mystique), by CIA agent Moira MacTaggert to look into espionage by the Hellfire Club and its two principals, Sebastian Shaw and Emma Frost (played in all her girdled and gogo boot glory by January Jones). This Shaw also has a tie to the vengeful former concentration camp prisoner Erik Lensherr, whose own mission of vengeance will lead him to a philosophical path similar to his Nazi tormentors. Along the way, we get to meet several classic and new characters, including the young Beast, Havok, and the Angel (not who you think). The war for the hearts and minds of mutants and humans alike begins right in the middle of the Cuban Missile Crisis. Will Xavier be able to show the world the benefits of homo superior? Or, will a new age of the Atom be brought to bear where Mutants are the sole survivors of a nuclear Armageddon? The Good: FINALLY, a scary and believable Magneto! Nothing against Gandalf (Ian McKlellan) from the first 3 movies, but seriously, dude was not scary nor believable as Fassbender. Fassbender's portrayal evokes sympathy, angst, and eventual disgust as the evolving Magneto. And, they finally get the look and helmet right! There is also an excellent cameo by a certain cigar chewing, bone clawed Canadian that is by far one of the best scenes in the film. For those of you into eye candy, there is lots of that as Emma Frost is half naked throughout most of the film, and Raven/Mystique is also frequently showing more than her powers. Also, we get a glimpse (if you pay attention) into the origin of a certain blue furry bampf! teleporting German mutant with a prehensile tail. There are other familiar things, like the design and birth of Cerebro, as well as the original Blackbird. The action is a nice story, with lots of intrigue and espionage. The effects are as always outstanding. You really do see the friendship and brotherhood of Xavier and Magneto blossom and evolve as the film develops. You also get a glimpse at Xavier before he became so dry and sobering. It is nice to know that at one time, he too, was young and kind of a cocky jerk. Kevin Bacon does a passable job as classic Xmen character Sebastian Shaw, aka the Black King. January Jones look is classic Emma Frost, aka the White Queen, and she brings the right attitude to the role. OK, where to begin? Talk about reboots! This film turns its own franchise's continuity on its head, not just the comic continuity. To wit, OK, we were always told and shown that Cyclops and Jean Grey were Xavier and Magneto's first students. Not so. Neither is anywhere to be seen, though we are given a glimpse of a young African female mutant with white hair in one quick scene. There is no Iceman or the original Angel. What they do to this character, well, let's just say it is a classic Starbuck, if you know Battlestar Galactica and its reboot. Except without the excellent acting by Katie Sackoff. Cyclops was a key factor in 3 of the four previous movies, but these writers appear to be thumbing their nose at X1-3 and the Wolverine movie. We don't get Cyclops, but we do get his brother? And Mystique knew Xavier as a child? What? And then there is Emma Frost. We were introduced to her in the Wolverine film as a teenager in circa 1970s at Three Mile Island as she and Cyclops and the young mutants made their escape from Stryker's HQ (and then there is the new Stryker...seriously, 3rd different actor in less than a decade???). Well, somehow Emma Frost is an adult in 1962 and has fully....uh...developed. Then there is Xavier. In the Wolverine film, he is seen in the 1970s as bald and able to walk. In First Class, in 1962, by the end of the film we see Professor X in his familiar wheelchair. Whiskey Tango Foxtrot????? As a stand alone film, this is movie is quite good, even excellent. However, if you are trying to tie it into X-Men 1-3, you are seriously wasting your time. Even worse than Star Trek, James Bond, and Star Wars, this franchise tells continuity to take a flying leap. It is rather indicative of the state of the super hero/comic book world today. It seems like every five minutes there is a reboot or a retrocon of characters. This leads only to confusion. Many of the children and even some of the adults leaving the movie were overheard asking questions about why did this happen in one of the previous movies but now they are telling us something else. I can understand rebooting a franchise if you hadn't had a new movie in a decade or so, but seriously, rebooting in less than 5 years? I know Xmen 3 was a horrible film (except for Hugh Jackman and Kelsey Grammer's Beast) but geez! If you even try to make these movies go together in any way, you fail. The time lines are all askew and you have characters who existed who didn't, or who are now younger or older than they should be. I expected better, knowing that Bryan Singer (who did the first two Xmovies) was back in the fold. However, it appeared to me that he wanted to thumb his nose at X3 and Wolverine because he wasn't involved with them. As a fan of both the comics and 3 of the four previous movies, it was kind of a letdown. However, it is a good yarn, even if I am sick and tired of the whole secret history of American History plot line. 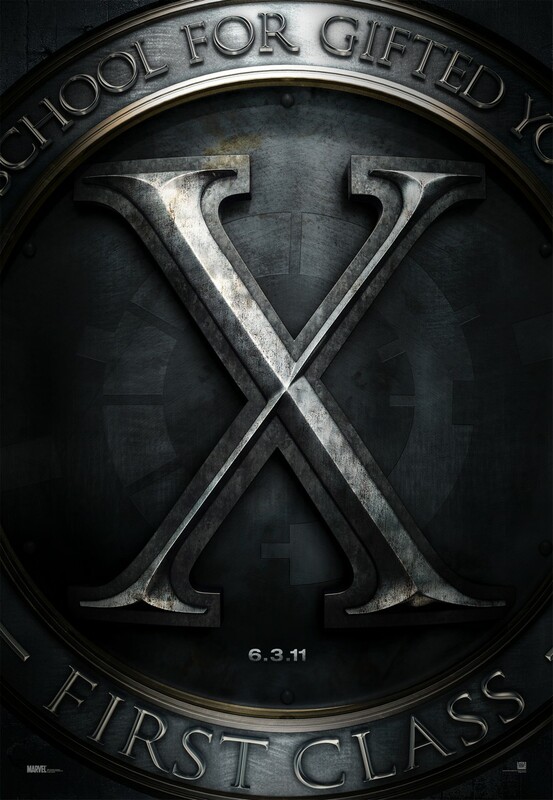 If you are not an Xfan or don't care about continuity and haven't seen the movies, I highly recommend it. However, if you are an Xfan and appreciate order and things making sense, leave those ideas at the door. A good overall film, but its place in the franchise is unclear, and muddies the waters of the Xmen.